This 31 day food festival features over 75 one-of-a-kind boysenberry inspired dishes, drinks and more, plus family fun everyone will love! Daily from March 29 - April 28, 2019. 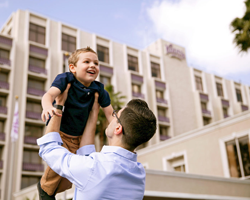 Stay at the Knott's Hotel and save on tickets! Whether you're planning a quick overnight getaway or a fun-filled family vacation, you won't find a better deal anywhere else. Enjoy unlimited visits in 2019 with no blackout dates, exclusive discounts, and more. Don't miss a minute of the fun! 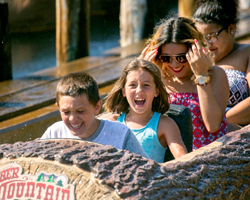 You'll find all of the calendars and hours for Knott's Berry Farm and Knott's Soak City here. Knott’s Scary Farm runs select nights in September and October. Knott’s Scary Farm opens at 7 p.m. and closes at 1 a.m. or 2 a.m. depending on the night. Car Parking: Information available in summer 2019. Bus / RV / Limo Parking: Information available in summer 2019. Preferred Parking: Information available in summer 2019. 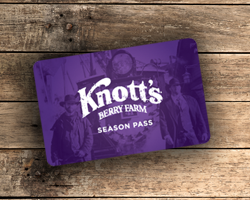 Knott's Berry Farm Season Passholders that have added All-Season Parking to their Season Pass may park a regular automobile car at no additional charge. All-Season Parking is not valid for Limo parking or in the preferred, shopping & dining, or hotel lots. Is there an age requirement to attend Knott's Scary Farm? Does my baby in a stroller need a ticket? There is no age minimum for the event. However, this event is recommended for mature audiences only and not recommended for children under 13. There are no refunds for this event. Please note, that all guests, regardless of age, need to have their own paid admission ticket. This also includes children in strollers and under the age of 3. Are tickets refundable? Can they be used for another night? Don't exit at Beach Blvd! Save time by using Knott Ave. or Magnolia Ave.
Can I wear a costume or mask/make-up? Is there a dress code? Costumes, masks and face painting are not allowed to ensure that there is no confusion between the Knott's Scary Farm monster actors and guests. Clothing generally considered offensive including profanity, suggestive pictures or pictures of illegal substances on clothing are prohibited. For guest safety, shirts, shorts/pants and shoes must be worn at all times, including entering and leaving the park. Can I take photos or video? Can I use a flashlight or my phone's light? Photos and videos are prohibited inside the mazes. Photos and videos are allowed in the scare zones and show performances as long as flash and video lighting is not used. Flashlights, including phone lights, are prohibited throughout Knott's Scary Farm. Can I leave the event and come back later in the evening? Are reentries permitted? Re-entries are not permitted. Once you leave the park, you will not be able to renter. Be advised, any Knott’s Scary Farm guest found behaving inappropriately, including behavior resulting from the influence of ALCOHOL, MARIJUANA, ILLICIT DRUGS, PRESCRIPTION DRUGS, AND/OR ANY CONTROLLED SUBSTANCE is subject to immediate removal from our facility at any time with no refund. Knott’s Scary Farm will determine, in its sole discretion, if customer conduct is deemed inappropriate. Single strollers, double-seat strollers and manual wheelchairs are available inside Ghost Town next to the Geode Shop. Rentals are on a first-come, first served basis for a minimal daily charge, plus deposit. Quantities are limited so rentals do sell out. For questions, please contact (714) 220-5495.Please Note: Electric wheelchairs are not available during Knott's Scary Farm. Is alcohol served at Knott's Scary Farm? Yes, beer and wine are available at select locations inside the park for guests ages 21 and older with a valid Driver's License. Which rides are open during Knott's Scary Farm? All of the thrill rides in the park are open. For a complete list, please visit this page. Please note that although rare, some rides may occasionally close for mechanical reasons or inclement weather. Can I bring food and drinks into the park? Sorry, no outside food or beverages are allowed. Will Knott's Scary Farm be canceled due to weather? No, Knott's Scary Farm occurs rain or shine. Refunds are not offered. Yes, discounted tickets are offered for Active, Retired and Veteran Military Personnel. Discount ticket information will be available in summer 2019. Is admission to Knott's Scary Farm included with a Knott's Berry Farm Season Pass? Admission to Knott's Scary Farm is not included with any Knott's Berry Farm Season Pass. 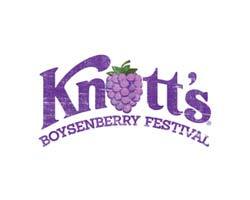 Knott’s Berry Farm Season Passholders receive a discount on single night admission tickets. Does admission to Knott's Scary Farm include entry to shows? Yes, admission into Knott's Scary Farm includes access to all of the mazes, thrill rides and shows. Seating available on a first-come basis and doors close at show time. Performance, program, and show times are subject to change without notice. Outdoor shows performed weather permitting.